I just have to say that planning does work and so does working the plan. I say this because it was my birthday on Thursday and my husband invited friends over to celebrate with a bar-b-q dinner. That included my daughters helping a friend of ours make the cake. 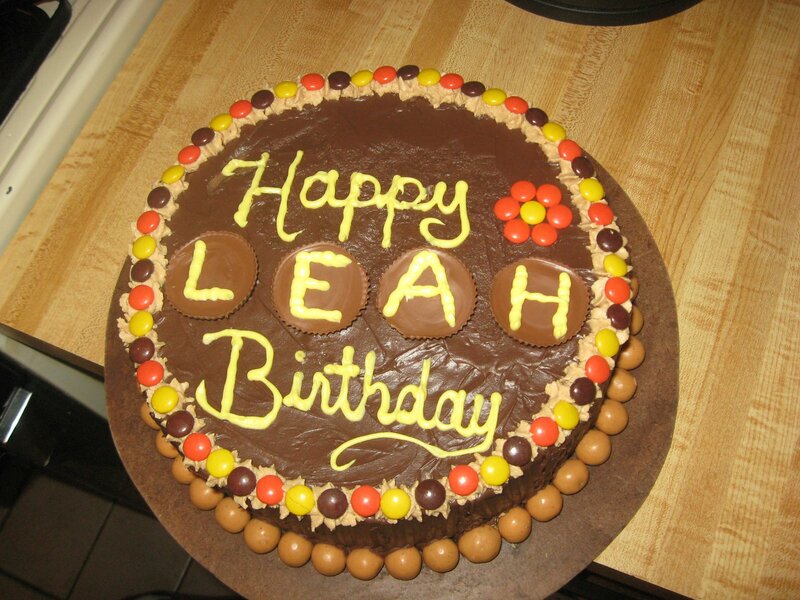 This was probably the best cake that’s been made for me since my mom used to make my cakes. I knew that I wanted to have a piece of cake (even before I saw it), so I planned for it. I ate lighter throughout the day, I did a 65-minute walking DVD and I was careful during the dinner to make sure I had room for the cake. And I still lost weight! After the party I journaled everything I ate – down to the piece of chocolate cake that had a cream filling made of peanut butter and chocolate frosting mixed together with milk. Knowing where I was before the party and where I stood afterwards made it easier to fit this celebration into my week. If I can make it through this week, then I know I can make it through this weight loss journey. Happy Birthday! That is all part of this journey – learning how to moderate and thrive instead of deprive, because that sets us up for failure – congrats on the loss and I am glad you had fun this week! Good thinking, I'm not sure I would of thought of doing that. The girls did a great job on the cake. It looks yummy!!!! Happy, happy birthday! Planning is the key isn't it? You can have your cake and eat it too! Sorry for the corny line, I couldn't resist!